There are some major hurdles an entrepreneur faces when running a home-based business. One would think in today’s technology-age that working from home is just as effective as working in an office, but establishing credibility and fending distractions are two major challenges to overcome. Professional business address. Establish a corporate identity by using a well-known Class ‘A’ office building as your business address. 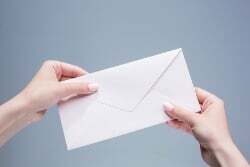 A post office box or your home address on your business cards is simply not the way to go. Private offices and meeting rooms. The neighborhood coffee house doesn’t project well when trying to impress a potential client or investor. Most virtual office packages include free day-office and conference room hours as part of the monthly package. Why hold meetings at a coffee shop when you can use a fully-equipped conference room in a high-rise office building with striking views? Mailbox & Courier Services. This is better than Mailboxes Etc. Virtual Office providers usually have staff that can receive and retain mail packages for your business, as well as forward important mail according to your instructions. Technology/Unified Messaging. Everything from E-fax to receiving your voicemail messages as an email attachment to enterprise-grade Internet connection. State-of-the-art technology is key and any provider without it is way behind the curve. It’s a Must-Have! On-Demand Professional Services / Virtual Assistants. Perfect for CPA’s, attorneys, or any professional who needs accounting, desktop publishing, or clerical support, on a pay-per-use basis. Leading providers of Virtual Office Solutions include Pacific Business Centers, DaVinci Virtual, and Alliance Business Centers. Average plans allow entrepreneurs to run their entire business on $200 per month or less. Search the internet to find out which providers are offering the best deals and plans to suit your needs. The Virtual Office is a ‘no brainer.” It relieves you from the distractions that come from working from home, and projects the right business image so colleagues and friends take you seriously.